In the last 10 years, Italy’s most celebrated white grape, Pinot Grigio has certainly made its mark on the international wine market. Refreshing and easy-to-drink, it's not just a great summer wine, its versatility with food makes it a great white for all seasons. This Italian classic delivers exactly what you want it to: fresh, zesty character at a bargain price. 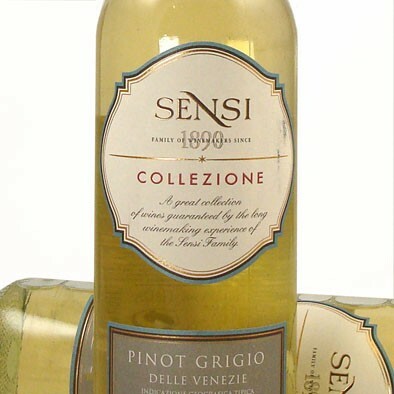 well, like this Pinot Grigio from Veneto). This classic Grigio is spot-on with juicy pear and citrus aromas on the nose and palate, underlined by a bright, cleansing acidity and refreshing minerality throughout. Uncomplicated and true to type, this straight-up Italian white will make you think of long, sunny days ahead.